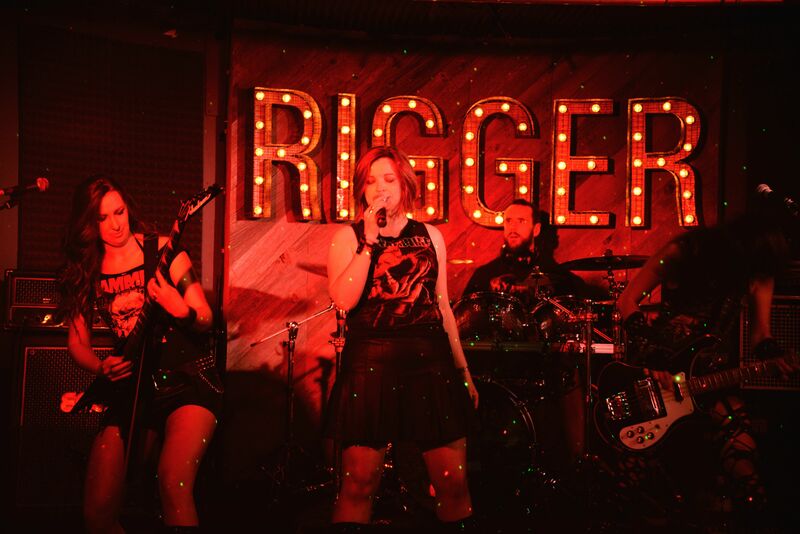 It's back to my town's local venue The Rigger, as Welsh metal band Triaxis are coming to town. Triaxis were on the bill with support band Lovesick, only Triaxis ended up playing that evening due to the other band being a no show. After a 90 minute wait, Triaxis enter the spot light and so the show began. 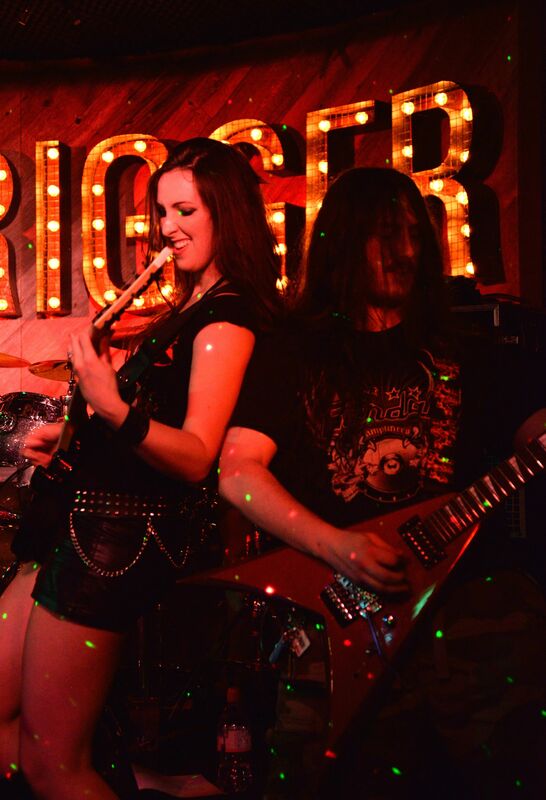 Triaxis have always been known to take a more 'traditional' style in heavy metal, musically they present a big energy with a stage presence to match. Although the band were unsuccessful in their early attempts to get the audience up, they won over the audience with their power and excellent sound. Krissie Kirby possessed great vocal control, powering through note after note with her strong voice. The audience appeared to come out of their shells for the band's latest single Victorious, where Krissie had us all chanting “kill, kill, kill” which became slightly more sinister the more it was chanted. We were also treated to other songs from the band's third album – released this May – Zero Hour, including the title track, Terraform, Dying Sun, Stand Your Ground which saw an incredibly impressive vocal performance and Death Machine with a really nice break down before plunging into more stunning guitar solos. What blew me away during Triaxis's show, was, firstly the volume and the execution of the guitar solos and then, the way that the band interacted with each other on stage – each member of the band looked like they were having a great time.